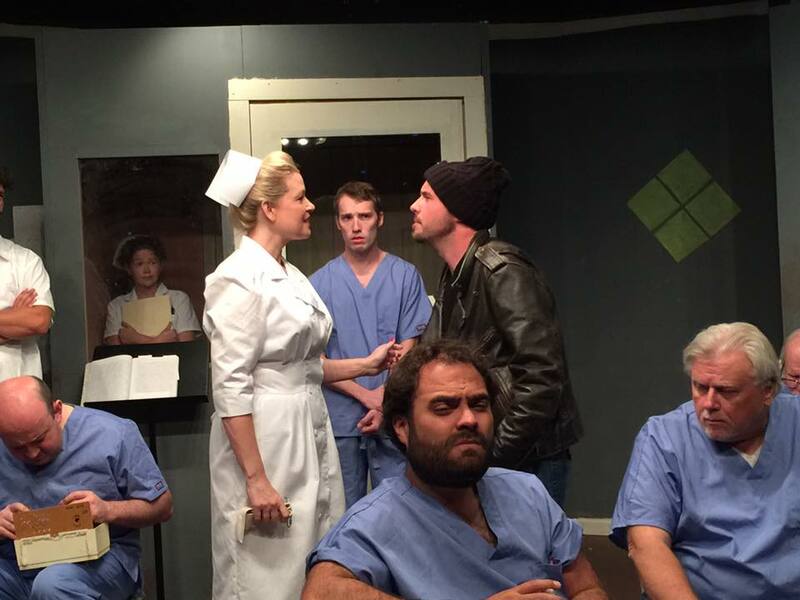 Marc McHone, Rachel Allen, Heidi Gibson Platt, John C. Collins, Andy Szuran, Scott Goodman & John Trueblood in One Flew Over The Cuckoos Nest. Photo by Craig Nolan Highley. Entire contents are copyright © 2017 Kate Barry. All rights reserved. In its original conception, the novel One Flew Over the Cuckoo’s Nest by Ken Kesey raised countless questions about the ethical treatment of people with mental, intellectual and behavioral disabilities that are still discussed to this day. What makes a person mentally capable? Who decides and under what terms? Set in a mental care facility in the 1960’s, we peek into the lives of nine patients and the medical staff who tend to their needs. The lives of the patients and staff are thrown into upheaval when a rebellious criminal is thrown into the mix. 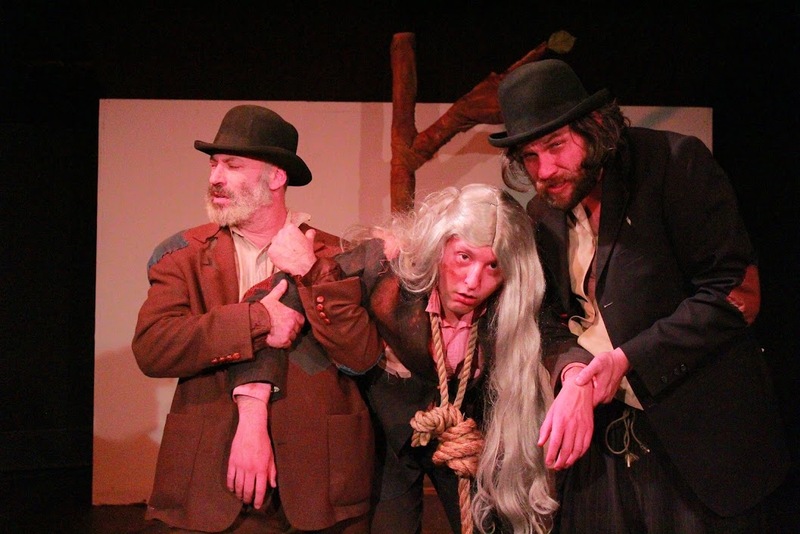 Wayward Actors Company has staged a moving and intimate piece of theater that dives straight into the ethics of mental health, the difference between right and wrong, and the grey area in between. Taking the reins of the action in this apparent therapeutic community is R.P “Mac” McMurphy, played by Andy Szuran. A tough guy in a wool cap with pithy one-liners, Szuran brings his own spin to the inmate turned patient made famous by Jack Nicholson. Szuran does well to channel the same humor in his lines as Nicholson did in the film but brings his own heroic courage to the part. Szuran’s Mac is a vigilante on the prowl for change as he experiences the mental ward for the first time and desperately yearns for change. But there is one major force that Mac struggles with in particular. I am speaking about the villainous Nurse Ratched. Heidi Platt’s Ratched is an unassuming and overworked wolf in sheep’s clothing. 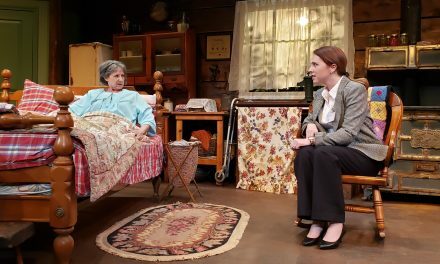 Accented with blood red finger nail polish and lipstick and a tightly wound blonde bun on her head, Platt’s nurse first appears as a loving mother-type as she provides for her patients. Slowly but surely, Platt’s peels away Ratched’s motherly love to reveal a bully driven by harsh rules, and the transformation is truly titillating to watch. Platt and Szuran are veritable foes as they square off against each other. The most gruelling scene between them is arguably Mac’s shock treatment; a scene that shifts power and control from patient to nurse. With every battle between Mac and Ratched, the rest of the patients do their part to promote change and thrive each day in the ward. As Mac rallies his allies to change policy for television privileges, the first act ends with a mighty bang as the ensemble unites to imagine a perfect World Series game. The second act strums along with great magnitude as the action ramps up to a fever pitch. Greg Collier is endearing as Harding as he leads the patients in a faux wedding. Harding provides a moral backbone to the fable on stage as he brings to light matters of deciding who is sane, the treatment of staff and what it means to belong to a community. John C Collins’ Billy is a sweet and tragic victim at the hands of Nurse Ratched. As Chief Bromden, Kenn Parks is stoic and calm in his cautious monologues to his father. Parks speeches are fueled by fear and wisdom as he yearns for the freedom of a life he used to have. When Ken Kesey wrote this novel about the mental health field, words like “acute,” “chronic,” “looney” and even “retarded” were used liberally by professionals in the field. The performances in this production do well to pay respect to the era while resisting any kind of over the top, offensive performance. 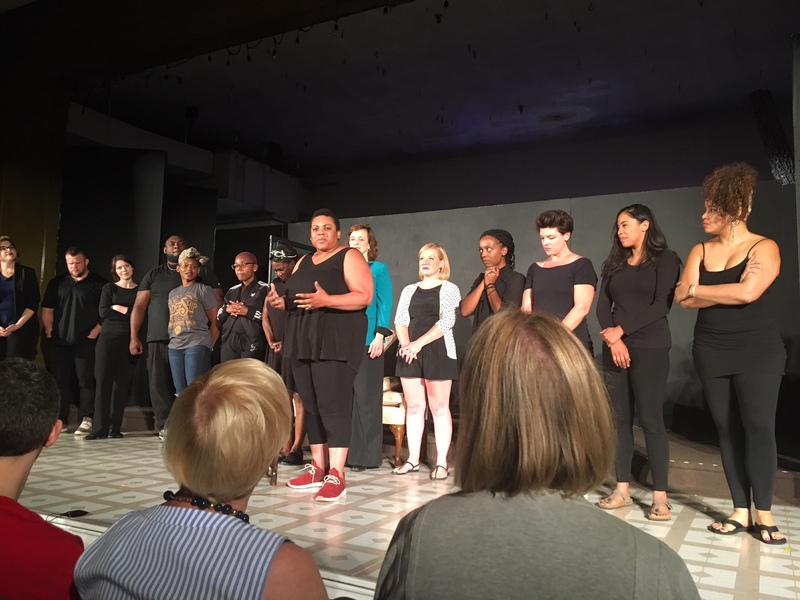 What we are left with is a play about community affected by one man’s attempt to change a corrupt system and how his efforts impacted those around him. Kate Barry earned her Bachelors in English with a Theater minor from Bellarmine University in 2008. She has worked with many different companies around town including Kentucky Shakespeare Festival, Bunbury Theater, Louisville Repertory Company, Walden Theater, Finnigan Productions and you have probably purchased tickets from her at that little performing arts center on Main Street as well. 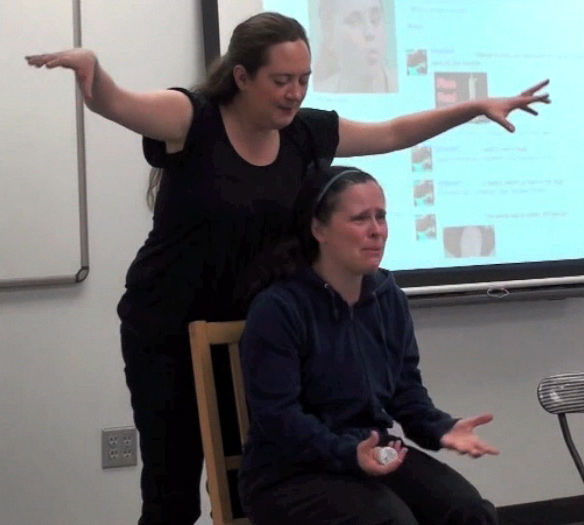 In 2012, her short play “PlayList” won festival favorite in the Finnigan Festival of Funky Fresh Fun. 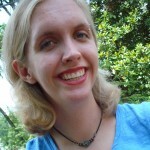 She has written for LEO Weekly and TheatreLouisville.com as well. Thanks for reading!